One or more photo(s) has been virtually staged. Look no further! Live a lifestyle of comfort, convenience and community in this stunning FOUR BEDROOM home in the Enclave at Tuscany. 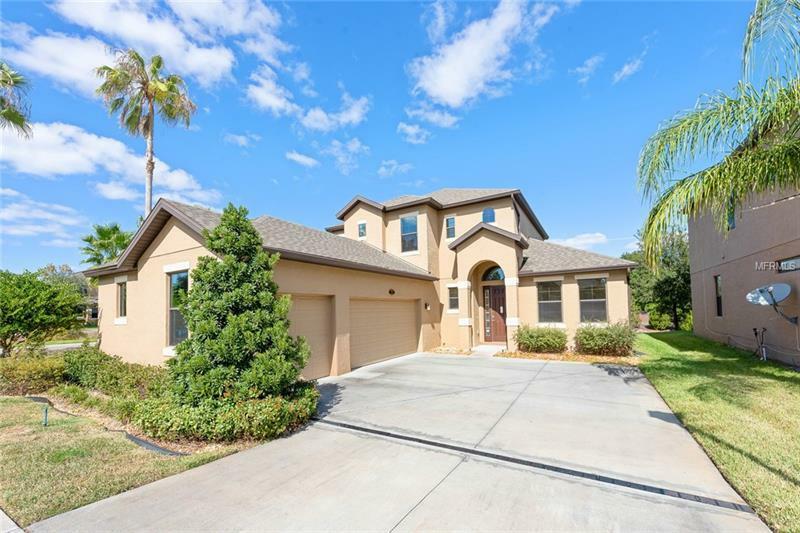 This desirable 2-story home is super inviting from the moment you open the door, showcasing CROWN MOLDING, HIGH CEILINGS, a THREE CAR GARAGE and a first floor OFFICE/WORKOUT/FLEX ROOM. The bright floor plan features EASY CARE TILE and LAMINATE flooring, and CEILING FANS. The open living area unifies the space so you that you can interact with family or guests easily. The state-of-the-art, custom kitchen boasts STAINLESS STEEL APPLIANCES, DOUBLE OVENS, GRANITE COUNTERTOPS, a BREAKFAST BAR, EAT IN NOOK and elegant cabinetry. Relax in the first floor MASTER RETREAT with a master bathroom that includes a huge WALK IN CLOSET, LARGE WALK IN SHOWER and DUAL SINKS. Walking up the stairs you will find the SPACIOUS LOFT as an additional bonus area perfect for a gaming zone, art space, flex room or whatever fits your needs. Gather with guests and family in the OUTDOOR PATIO area perfect for alfresco lounging. The Enclave at Tuscany is located less than 5 minutes from I-4 and SR 417 as well as a short drive to all the shopping, dining & entertainment you could wish for. A premier location centered amidst access to shopping and dining, Zoned for TOP RATED SEMINOLE COUNTY SCHOOLS, in close proximity to the SunRail Station and the Lake Mary business corridor of International Parkway. With an amazing location and so much living space, this one won't last long!